Is there anything better than meat on a stick that’s been hit with serious heat, covered in hot and cool sauces? If there is and you know what it is……keep it to yourself, I’m happy with what I have thanks. The key to these is using cuts of spring lamb that your butcher would usually sell you for a stew. So for this kebab dish you want off-cuts so you can really pack the kebab sticks! So this is yet another one of my marinade for ages recipes…it can take it, big time! Start by making the marinade – combine everything above, mix well and taste..it should take your head off. Sling the lamb into a large bowl and pour in the marinade, work it through the meat making sure all of it is coated. Cling and sling in the fridge for at least 2 hours….but two days would be better! 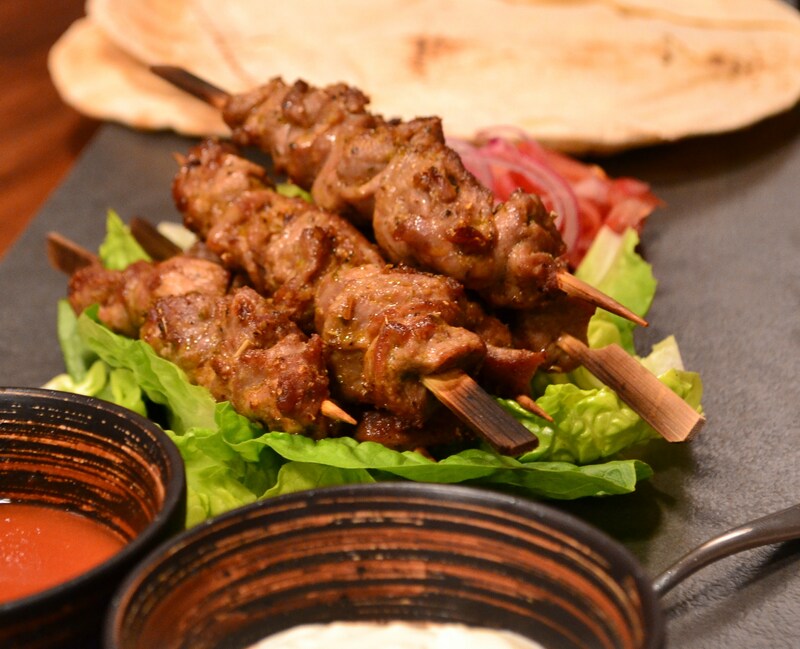 After 2 hours take the lamb pieces and ‘pack’ them onto small kebab skewers that you have soaked for a couple of hours in water…stops ’em burning. Arrange the kebabs on a grill tray and get them under a seriously hot grill..or bounce them onto a BBQ if it ain’t raining. These will only take a few minutes – 3-4 on each side to cook out. Serve the with fiery Chili and a cooling garlic sauce and wrap them up in warm flat breads!